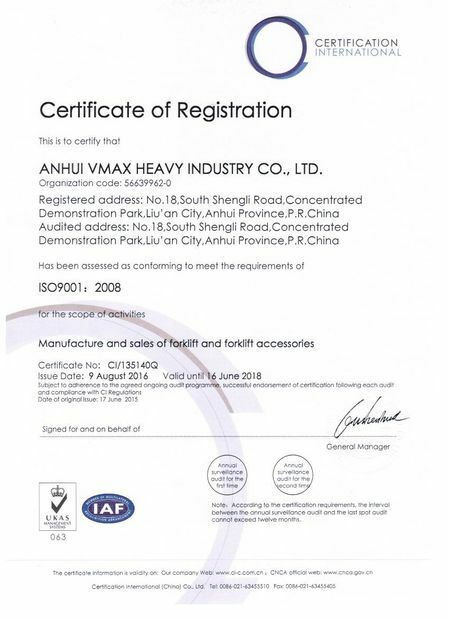 Anhui VMAX Machinery Manufacturing Co., Ltd. Is located in Lu'an, Anhui, China. 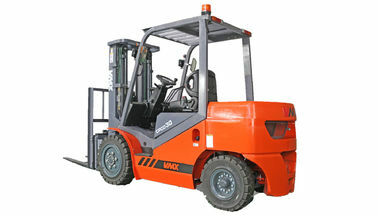 We are one of the biggest forklift manufacturers in China, which has 67, 000 square meter area workshop and outputs 5, 000 sets forklifts annually. We have different kinds of large blazing cutter, plasma cutter, large punch machine, CNC machining center, large painting machine and other high-class machines and testing equipment, which ensure perfect quality of each forklift from VMAX. Now our products include counterbalance diesel for klift, battery forklift, gas/LPG forklift, pallet truck, stacker, reach truck, mast mobile container crane, etc. 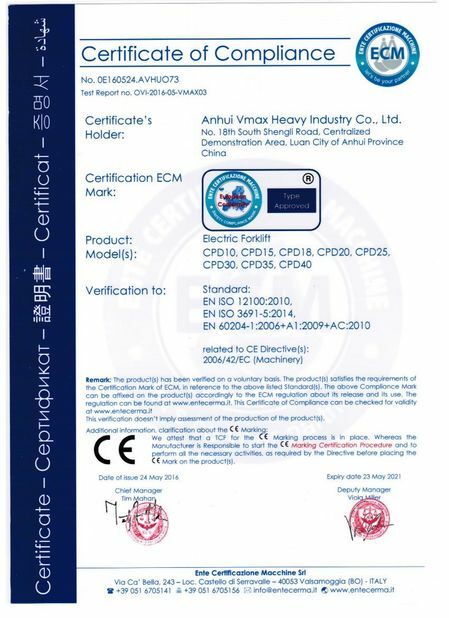 With firstclass technology and stable quality, VMAX products won the appreciation form majority of overseas customers. Our products have been exported to Europe, America, the Middle East, Southeast Asia, Africa and many other countries and regions. More than 400 VMAX members offer you products with top-class service. We sincerely welcome you to visit.